Every month we offer a Monthly Challenge for jewelry designers inspired by historical art work. For 2017 we have put together a free Ebook to keep you inspired and help you plan ahead to join in the fun! This 28 page PDF download can be printed out on your home computer or viewed on your phone for a quick and easy reference. Plan your year and shop for your favorite art beads to prepare for each challenge. 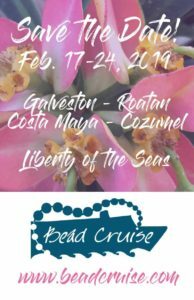 Each month features the artwork, custom color palette, bead picks from our contributors, along with a creative prompt, sketch area and calendar to keep track of the challenges and deadlines. 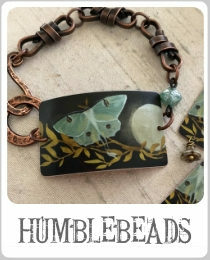 Here on the Art Bead Scene blog at the beginning of every month we post the details for the current monthly challenge. Be sure to follow along on the blog to participate. 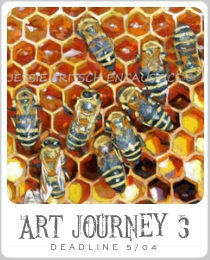 We offer two $50 art bead prizes each month. The challenge is a great way to connect with other jewelry designers and get a fresh dose of jewelry inspiration! You must have Adobe Reader (it’s free) to view the file on your home computer. On your mobile device look for the download arrow in the upper right to open the file. The is a large 28MB file. Sign up for our email list to download your copy. You must complete the sign up to receive the link for the Ebook. Be sure to check your email for the final confirmation.